The Sistine Chapel crossed its architectural dimension and put Michelangelo and John Paul II into an interdisciplinary discourse. The Pope assumed that a substantial factor of an artistic work was not its autonomy, but its transcendental value, realized in various artistic structures. Therefore, he was not interested in the painting aspects of the Sistine frescoes. Like Buonarotti, John Paul II looked for transcendental senses in a plastic work. The former tried to present those messages in a plastic vision, the latter attempted to express them in a literary way. And on such a plane the word met with the painting, which had inspired it. Reinforcement of text by picture failed to produce the expected effects – it disallowed to depict the Invisible. Besides mysticism, there appeared one more way of cognition, namely the meditation. The first kind of perception was to manifest supernatural matters, while the other pertained to human nature. Finally the author argues that Meditations unpenetrated the Mystery but “reached the audience”. 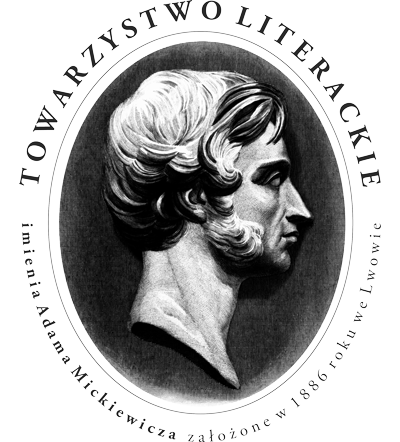 The aim of the article is an analysis of a late Norwid’s essay Silence (Milczenie, 1882), which can be seen as a kind of a literary testament. Not only does it allow to insight into Norwid’s preferred theory of poetic language, but also to discern the richness of his ideas. It is important to identify the essay’s enlightenment background (allusions to Ignacy Krasicki and Józef Koblański, who investigated ethical aspects of silence), connections with romanticism (silence as a metaphysical category), and the scent of modernism. Norwid, as a matter of fact, considers the typically romantic conflict between the word and the thought, and the speech imperfection against the sacred, but only to develop the theory of poetic language as epiphany. The Author’s strategy of withdrawal from the text, literariness rejection, pathos of everyday objects should all lead Norwid and his potential readers to the inexpressible. Czesław Miłosz’s religious thought is situated in the perspective of nihilistic breakthrough and three crises of modernity connected with it. The poet contradicts the 20th century ideologies with the famous analyses and diagnoses. When faced with ontological crisis, he tried to answer through the epiphanic metaphor of “endless moment”, and via symbolization changing experience into an image of Reality. As far as the crisis of religious imagination is concerned, the poet recalls the beauty disclosing the real state of the world. The patron saint of this route would be the worship of Hail Mary – Beautiful Lady. Thus, one may speak here about promethean poetry which gives poet a task of “saving” (redeeming) the world. All of it led Miłosz to crusade against ideologies, to fight for the objectivism of Reality and to oppose a subjective treatment of contemporary art. Religious sensitivity sets Miłosz among the trends of contemporary theological thought on the side of anthropology and theology of culture. The text is an attempt to comprehend Miron Białoszewski’s late writing through the prism of mutually exclusive categories of mysticalness (individual approach to the Absolute), mythology (poetic myth-creating activity) and liturgy (actions aiming to communion with the deity) understood as strategies taken to voice the religious matters. In Białoszewski’s atheistic thinking system, the author tries to explain the basic paradox of self-creation constructed with the language and sacred themes. In the final part of the paper the author analyzes the relationship between Białoszewski’s writing with space, time, and collective rites, as well as sums up the presence of Judeo-Christian religious context in the poet’s writings. Bertrand Marchal attempts to settle the changes of the discourse on God and religion in the second part of 19th century. His considerations lead from romantic theology searching a human dimension of Christ, through the criticism of religion advocated by German philosophers and fascination with Buddhism in French literary circles to psychological and sociological views which define God as a figment of human imagination. Due to such approach the spiritual dilemmas of a man of the end of the century and his struggles to see in God the image oneself (being a reversion of the religious order and results of the advances in anthropology). Such rich background allows not only for a better understanding of the logic of the changes in philosophical discourse, but also their consequences for the development of writing creativity and metaphysical conceptions of one of the most appraised poets of European modernism – Stéphane Mallarmé. In the early phase of his writing, Kierkegaard presented a philosophical vision of human life development in the form of three spheres of existence (aesthetic, ethical, and religious). A perfect illustration of Kierkegaard’s consideration is Fyodor Dostoyevsky’s last novel The Karamazov Brothers, in which three main protagonists can be read as living in the three indicated spheres (Dmitri – aesthetic sphere; Ivan – ethical sphere, and Alyosha – religious sphere). The following paper is an attempt to juxtapose the two texts in order to, on the one hand, strengthen Kierkegaard’s philosophical analyses with a ‘living’ example of human existence as supported by Dostoyevsky’s novel and, on the other hand, to point at a deep philosophical potential and a possibility to read the Russian novelist’s work with this key. It is important to mention that the two authors did not know each other’s works but are merged together with one (though deriving from different traditions) Christian vision of a man’s development. After 1890 August Strindberg, the reformer of European theatre and the author of scandalous autobiographical prose, abandons his literary activity for a few years to take up chemical, alchemic, physical, astronomical researches. It is at that time that the author’s new world’s view based on archaic nature philosophy is crystallizing, and later takes the name of “Inferno’s ideology”. The last phase of Strindberg’s scientific researches is linguistics. The writer turns to pre-Enlightenment idea of the language, and in particular to the hypothesis that all the languages of the world are cognates and originate from a Hebrew proto-language, and that linguistic signs do not have a conventional but a natural character. The writer’s linguistic method was based on contrasting of long lists of words in many languages to point out at their common “Hebrew” roots. In his researches, the writer referred to the mystical, linguistic theories originated in cabala and in neo-platonic Egyptology; much space devoted to a graphic analysis of Chinese ideograms, in his view similar to Syrian, Arabic, and Hebrew signs. Czesław Miłosz’s Biblical work is an exceptional event in the history of Polish biblical translation since apart from his own translations Miłosz suggested his own, unique conception of the Bible translation. It relies on two basic principles. The first is the principle of primacy of the original. Miłosz claimed that a strong desire to clarity might result in overshadowing of the poetical beauty of the Biblical books, and thus he postulated to save the original imagery in translation. The second principle relates to the faithfulness to linguistic tradition; Miłosz often stressed his regard for the Polish biblical style. Among 10 Biblical books translated by Miłosz, The Gospel according to Saint Mark enjoys an exceptional position since it comprises the most consistent realization of the accepted theoretical assumptions. 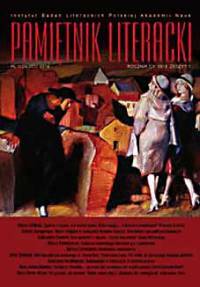 The translation is characterized by a sophisticated style which is a result of a dialogue with Old-Polish translations. The poet managed to make a translation from which the aura of the sacred emanates. The article discusses the function of the metaphor as one of the elements in narration constitution in short stories contained in the cycle The Walls of Hebron by Andrzej Stasiuk. Starting point of the paper is the thesis that two types of narration are to be found in The Walls of Hebron: one stylizing the text to a secret language spoken in prisons (prison jargon), and another, for which the basis is a poetic metaphor. Specific examples of the metaphor in the two aforementioned types undergo a detailed analysis, however the emphasis lies on the latter. The paper also attempts to indicate the function a metaphor fulfills, namely a formal mechanism joining description to story-telling, and a means of giving the separate stories a mythical sense. Jakub Sobieski or Jakub Szczawiński – Who Is the Author of Andrzej Bobola’s Funeral Eulogy? The issuing of the collection of Mateusz Bembus funeral preachment alongside with delivered during Andrzej Bobola’s funeral eulogy is one of the few 17th century examples of occasional issuing of funeral orations. The speech, published in 1629 by Jan Rossowski under the name of Jakub Szczawiński in Jan Pisarski’s Polish Speaker (Mówca polski, 1668), was attributed to Jakub Sobieski. Researches to date regard it as either Szczawiński or Sobieski being its author, mostly without a note on the doubtful authorship. A comparison of the text with the basic speeches coming from Jakub Sobieski’s “home” in Ossolineum Library manuscripts (nos. 400 II and 3567 II) presented in the article and the analysis of the changes introduced by the editor leads to recognition of Sobieski as its author. The author also attempts to explain the issuing of the oration in question as Szczawiński’s text; she claims it is a mistake being a consequence of authorship recognition practice in oration manuscript circulation. Excerpts from Teodor Parnicki’s diary published here were written in the first years of his stay in the Mexico City (December 1952 or 1953). They document the process of the author’s work on “Byzantine story” and comprise an analysis of the political situation in the Eastern Empire in 5th century as well as the relations with western Christianity. The plot – complicated and rich in riddles – and multilayer relationships between the characters are meant by the author to connect directly to Christological discourse characteristic of 5th century Christian theology. The final parts of the diary refer to an initial project of the novel The End of „The Concord of Nations” (Paris 1955). The manuscript of the diary was found in the collections of The Polish Library in London. The review points at some inadvertences in texts editing, though a general assessment of the first such extensive anthology of Latin medieval poetry in Poland is positive. The text reviews Katarzyna Meller’s book on the ideological issues in 16th Polish protestant writers. The review discusses one of the most important Neo-Latin books on the poetic writings of Maciej Kazimierz Sarbiewski (1595–1640). The starting point of the analysis is the category of style. The style, as the author sees it, is to some degree third equivalent element in a reflection upon a text, apart from the categories of imitation and genre. A new critical edition of Juliusz Słowacki’s poems is a publication which creatively exploits the achievements of textual-critic researchers so far, and in many aspects an innovative one. Editors of this comprehensive volume suggest many new interpretations of the eminent Polish romantic poet, and a different from the already established methods of arranging of his the rich literary writings. The edition signals the new directions of philological researches in the accuracy of textual messages and suggests new modes of presenting the romantic texts to contemporary receivers. The book under revision comprises 6 articles by young Herbertians. The scholars undertake not enough academically penetrated spheres of Zbigniew Herbert’s writings (tanatology, Nietzscheism, comparative angelology, epistolography) and point out at strong connections of his lyrics with a peculiarly Christian metaphysics. Tomasz Garbol’s book under revision is of a monograph character. It reveals one important aspect of Zbigniew Herbert’s poetry and in this optic it gives an insight into the poet’s writing. The main thesis of the book touches upon the recurring presence of the metaphysical motifs in the lyric in question. The author verifies the many commonplace opinions and suggests new, deeper understanding of Herbert’s message. Grażyna Legutko’s book in question is a valuable study in the literary history contributing as much to Young Poland literature and Gustaw Daniłowski as to the recognition of the Bible literary reception. The book under revision presents a comprehensive interpretation of Teodor Parnicki writings on the basis of the category poetics, rhetoric, and intertextuality. It also discusses the convention of the historical novel and the problem of the truth and fiction in literary epistemology. 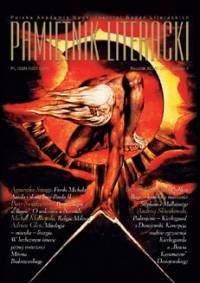 The text is a review of Joanna Bielska-Krawczyk’s book on metaphysical meanings of painterly references in Gustaw Herling-Grudziński’s writings. The text is an extensive analysis of Małgorzata Czermińska’s book devoted to the different descriptions of gothic cathedrals mostly in Polish literature over a span of history. The basic operational category is the notion of ekphrasis. The paper presents two books: Intentions in the Experience of Meaning by Raymond W. Gibbs, Jr. and Intentions: Negotiated, Contested, and Ignored by Arabella Lyon. Both authors analyse the problem of communicative intention, Gibbs from the psycholinguistic and Lyon from the philosophical and rhetorical points of view. 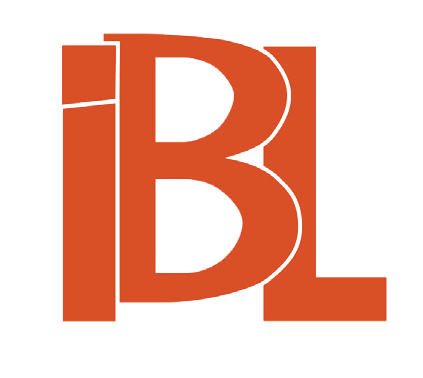 The review considers primarily the books’ relevance to the theory of literature. It is a posthumous recollection of Halina Gacowa, PhD, a longtime employee at Institute of Literary Research, Polish Academy of Sciences, who contributed especially as a team member of a multivolume bibliography of Polish literature and as an editor of the letters of a few known (also abroad) representatives of the romantic period.